KOffice is among the 15 projects presenting their work to CeBIT visitors 2010, offering a free office suite. The K shows the KDE origin of the free office suite. In a nutshell: describe your project in one or two sentences. interoperable with both OpenOffice.org and MS Office. When did the project begin? How many active members does the project have? documentors, then the project has over 100 contributors. Why was the project created? To fill the void of a free office suite. The project was created long before OpenOffice.org was free. Why should a CeBIT visitor come to your booth? is the platform to build upon. Who do you make your software for? Users on all platforms who want an easy to use office suite that work well with open document standards. Where do you see your biggest current challenges? To create a full implementation of the OpenDocument standard to allow seamless interoperability with MS Office and OpenOffice.org. If you could hire a full-time project developer now, what problem should he or she be ready to solve? Under which license is the software currently offered? Mostly LGPL 2+, but also some GPL 2(+). KDE continues KOffice development through the new Calligra Suite project. Nokia has released an alpha version of a new office viewer for the N900 smartphone. 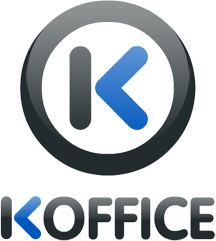 The software named Freoffice, installable under Maemo, is based on KOffice project code. The latest KOffice suite offers many new features – and even some new applications. We’ll show you what we found when we tried out KOffice 1.4. Since Nokia's takeover of Trolltech and the increased presence of Qt, the KOffice suite has been gaining prominence on mobile devices. Developers have been working on new import opportunities of Microsoft Office formats.